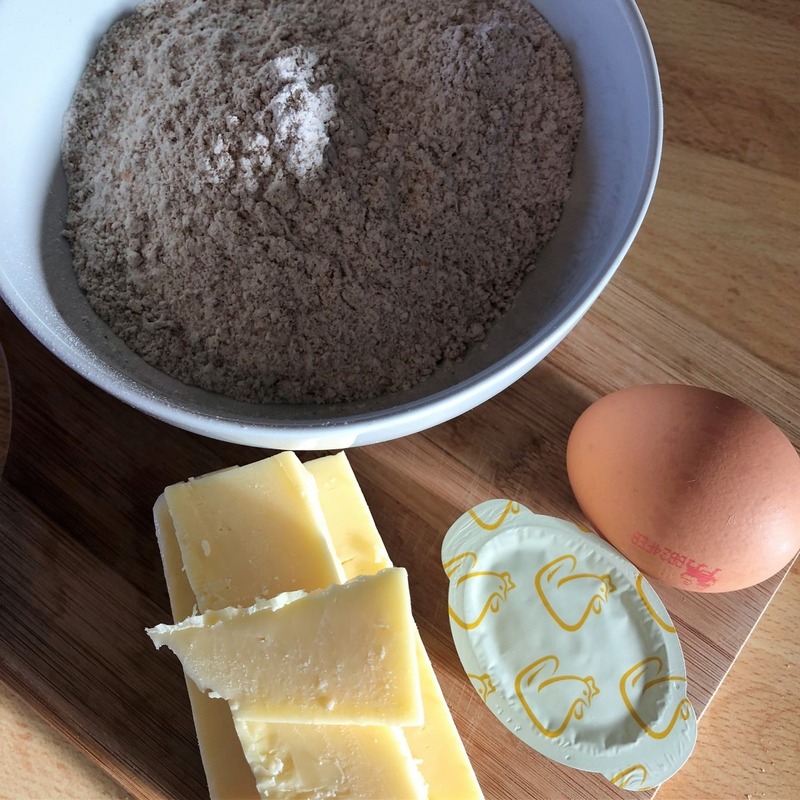 While some recipes involve a big shopping trip, in this week’s “Sunday Bites”, I thought I’d share a recipe which uses ingredients you are likely to have in your home every day of the week. Yep – even you! I bet you have all of these ingredients in your kitchen right now. 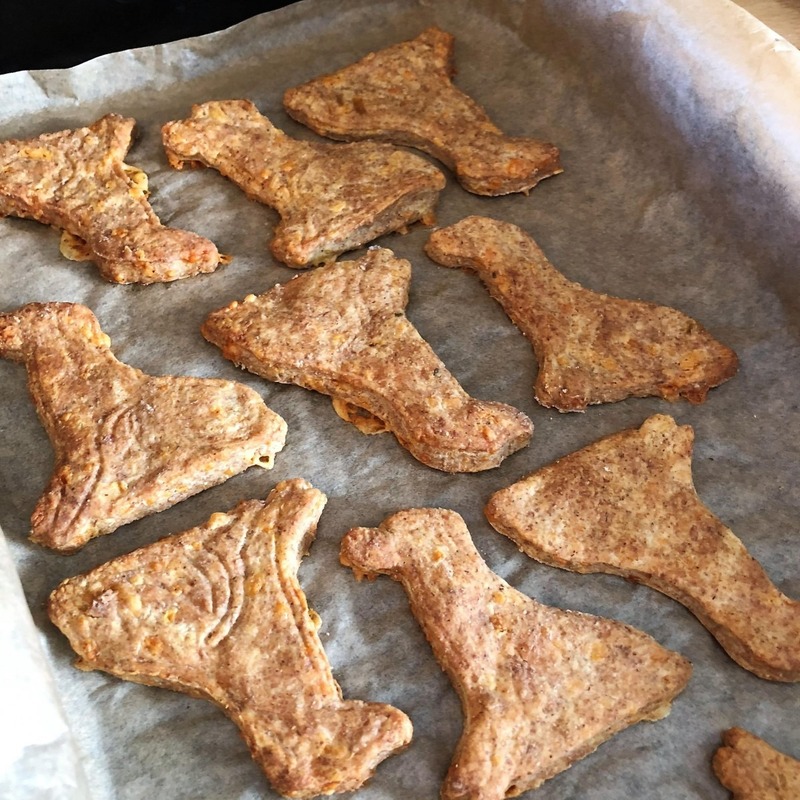 So why not take 30 mins and dive into our cheesy dog biscuit recipe! 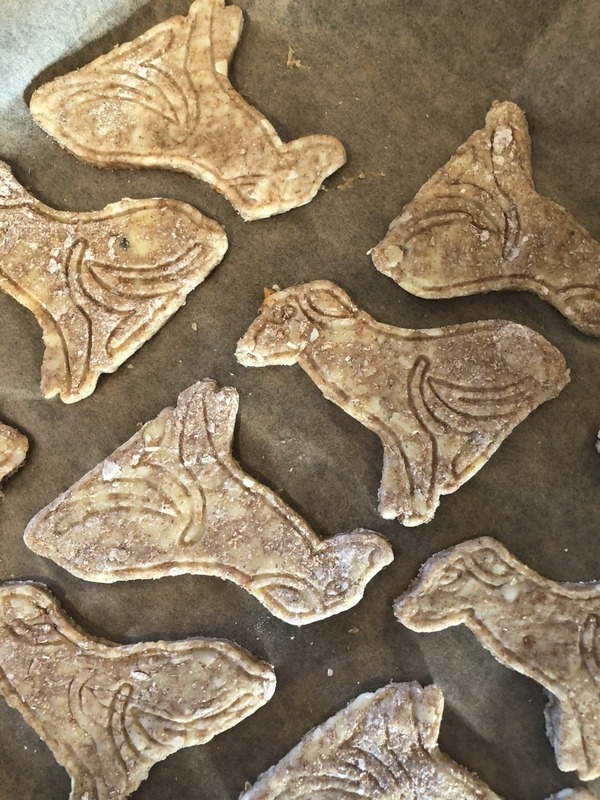 I always find baking quite therapeutic and between you and me, your furiend is going to love these! You may be thinking, noooooooo. Don’t give your dog cheese! It’s so fattening! Well, yes that is true. Cheese is high in protein, fat and calories. Some dogs can be lactose intolerant too. 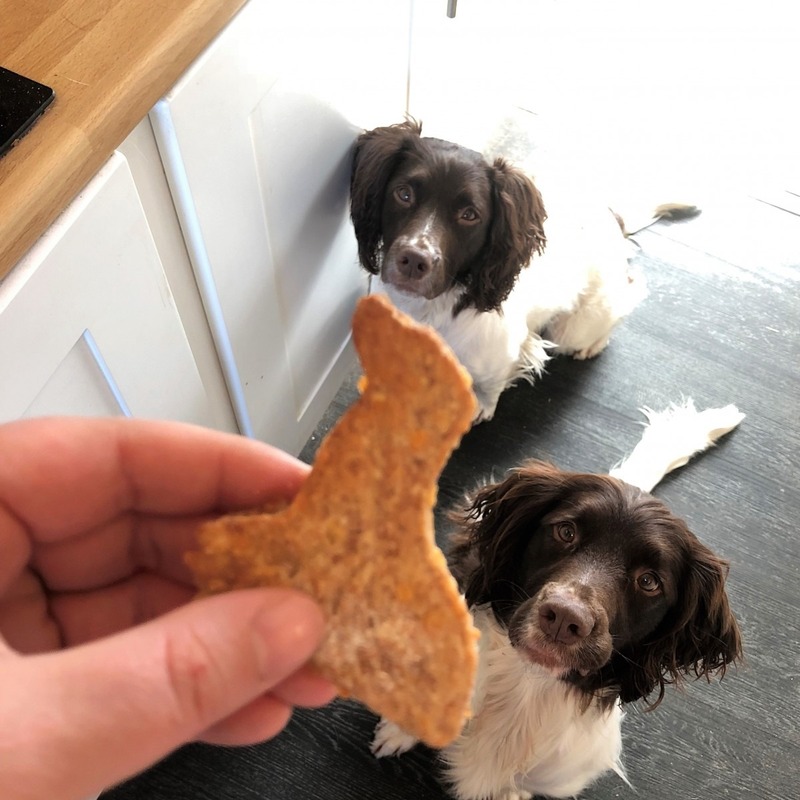 So as with any dogs diet, please do remember to keep, everything in moderation and be aware of portion sizes for them (which can be huge in human terms!). If you are concerned about weight, you could opt to swap out the cheddar cheese for low or reduced fat varieties too. Pop your oven to 180 degrees Celcius so that it’s ready to bake when you are. You could either boil 115ml of water and add your stock, or personally, I popped the kettle on. I then put a stock portion into a measuring jug along with the hot water from the ketlle and mixed well. 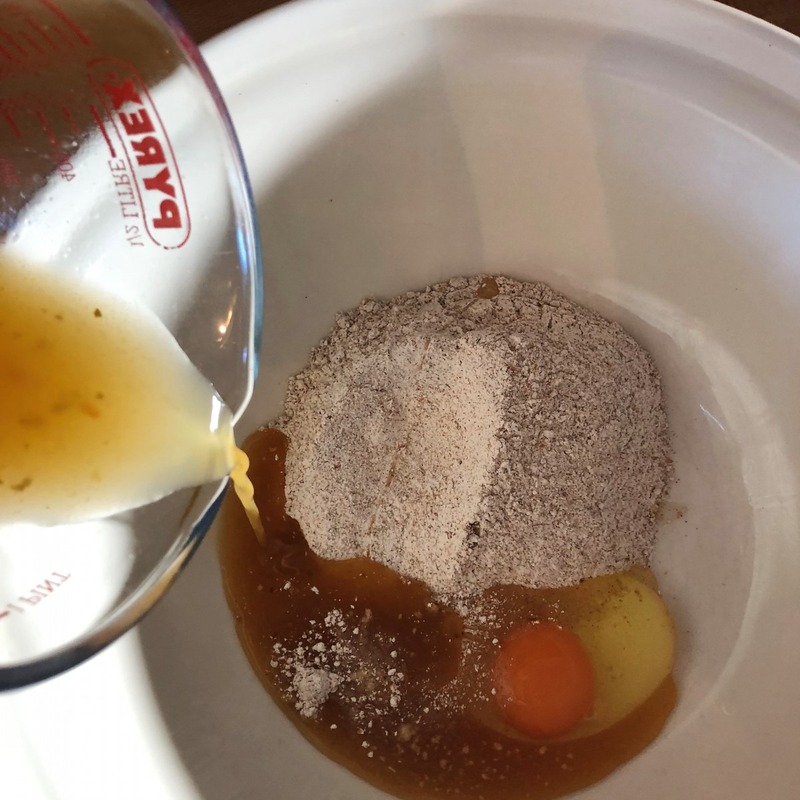 With a wooden spoon, mix together your flour, egg and stock mixture to make a dough. Grate your cheese as finely as possible and then add it to the mixture. Mix through again adding more water or flour if you feel the consistency isn’t quite right to roll out a dough. Gently flour a surface and knead your dough gently read to roll out. Using a rolling pin, you want to create an even thickness of around 1/4 inch. The thinner they are, the quicker they will cook and vice-versa. You are now ready to cut out your favourite shapes. From circles to love hearts. Bones to doggy shapes, the world is your oyster here! 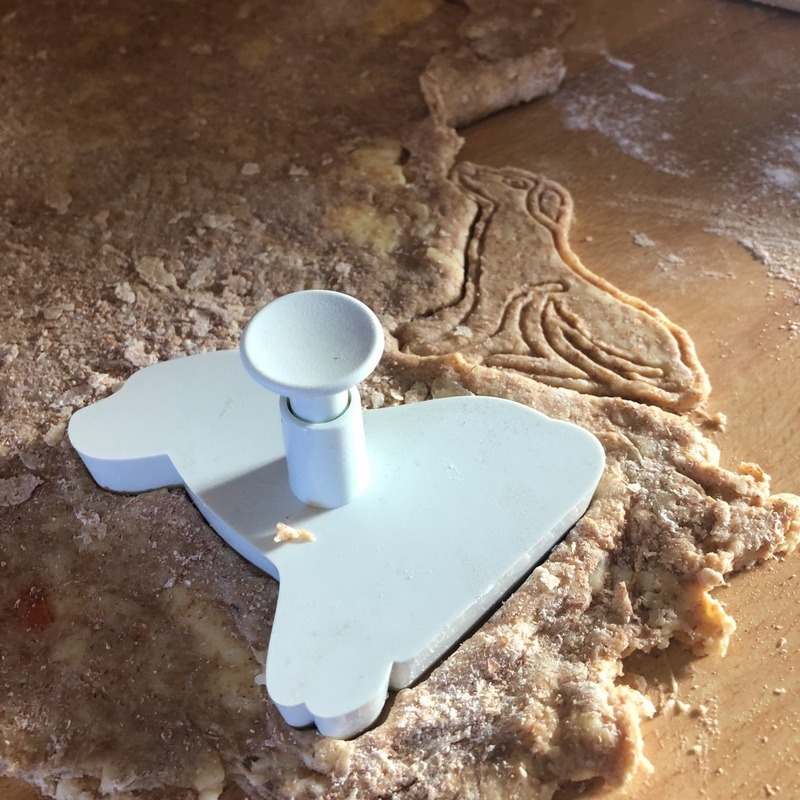 Our favourite bone cutters can be found find here on Amazon but today we opted to try out our new Lily’s Cookie Cutter (£2.25 available in our shop). While bigger in size, they made super cute biscuits. Remember to roll together any dough scraps and roll them back out again to create even more cheesy dog biscuits. You’ll be surprised how many you can get out of this small batch. These won’t reduce much in size, so do leave a little space between them to bake. It’s time to pop in the oven. I ended up with two trays and found that around 20 mins was enough to make them crisp enough to form biscuits. I’d set the alarm for 15 minutes to check in on them (but no need to turn them over during cooking). They really won’t take long to cool down and then it’s treat time! 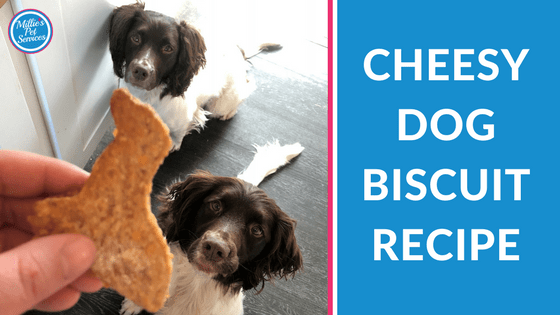 Did your Dog Love our Cheesy Dog Biscuit Recipe? 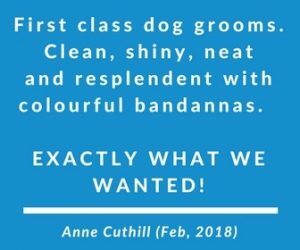 I’d love to hear how you get on with making any of our recipes and, of course, whether your dog loved our cheesy dog biscuits.